With the world’s focus on the heavyweight division this weekend ahead of the unification bout between England’s Anthony Joshua 20-0 (20) and New Zealand’s Joseph Parker 24-0 (18) in Cardiff, Wales, American WBC heavyweight champion Deontay Wilder 40-0 (39) has been left on the outside looking in. The polarising knockout artist has opted not to travel to the United Kingdom for the fight and is instead spending his time doing the media rounds in New York, which included an appearance on The Breakfast Club on Power 105.1FM. Speaking to hosts Charlamagne Tha God and Angela Yee, the outspoken 32-year-old took the opportunity to reiterate a statement he made last year in the lead-up to his rematch with Bermane Stiverne. Two years ago Wilder scored a crushing ninth round knockout of Artur Spzilka at the Barclays Center in Brooklyn, New York in his third world title defence. The Polish title challenger was knocked out cold and spent some minutes on the canvas receiving medical attention at the conclusion of the fight. 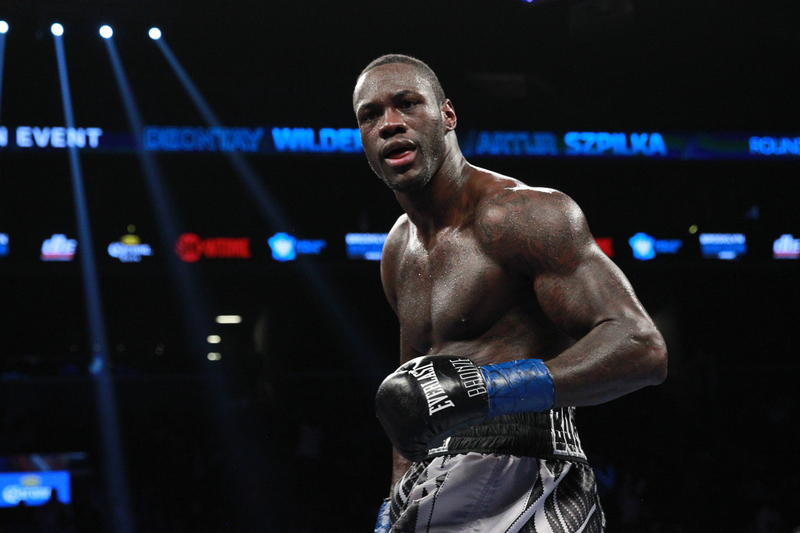 Wilder – or the ‘Bronze Bomber’ – recalls the fight fondly.